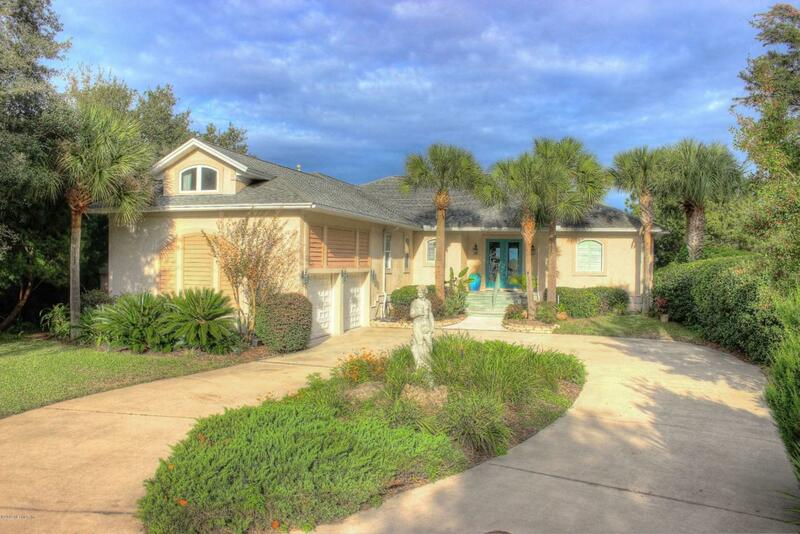 Located on a quiet cul-de-sac in Marsh Lakes Estates this INTRACOASTAL waterway home offers beautiful sunrises and surprising sunsets through 8ft high windows and doors and 30 ft covered deck. The interior features an open, gourmet kitchen and expansive marsh and Amelia River views from the study, kitchen, great room and master bedroom. With 4 bedrooms and 4.5 baths, this home is a single level, split plan home featuring numerous upscale enhancements including 10 ft ceilings, extensive molding, custom lighting and custom etched front doors.